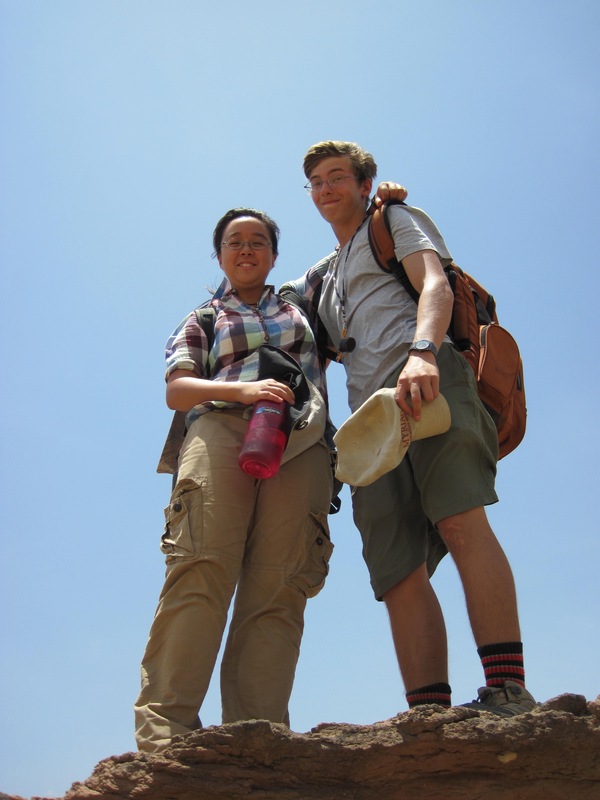 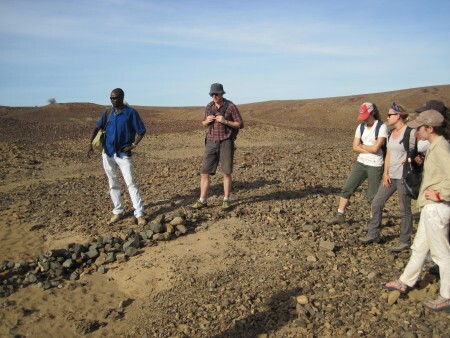 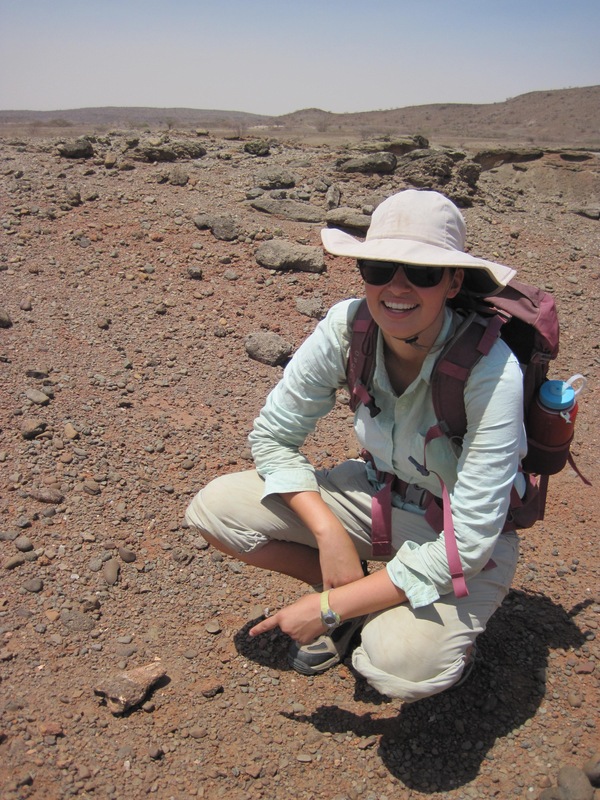 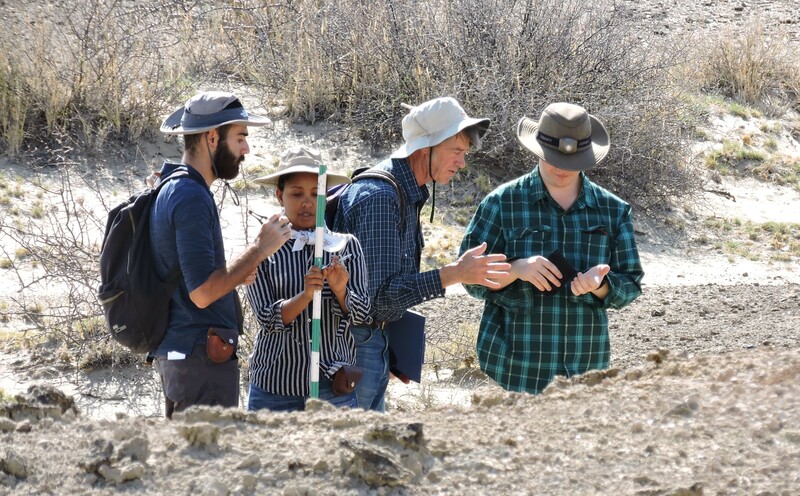 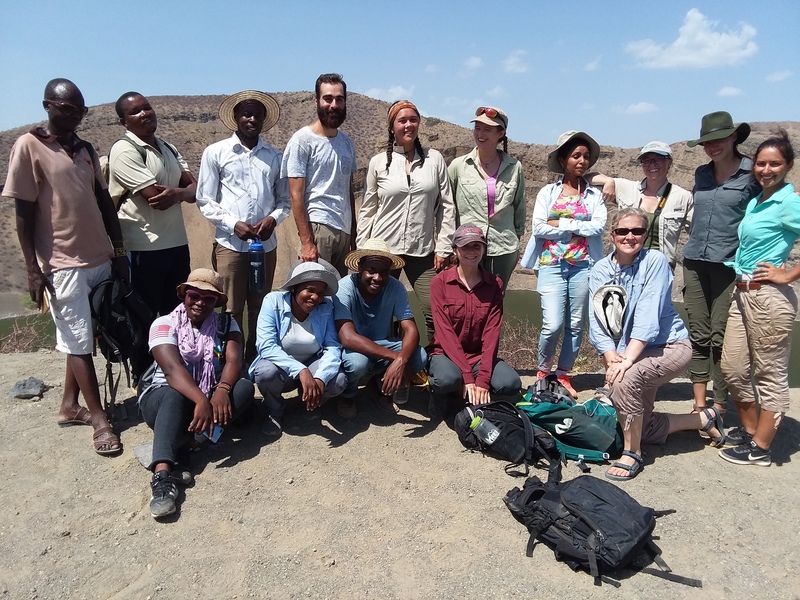 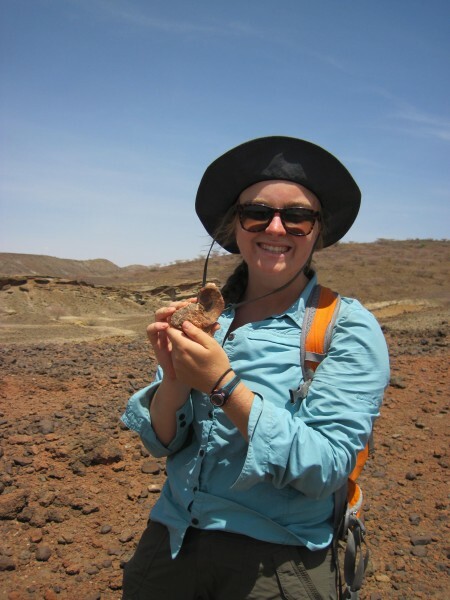 We have finally entered our last module on Paleoanthropology and is one of the main reason most field school students have come to the Turkana Basin Institute Field School to learn … Human Evolution! With extensive fossil deposits, the Turkana Basin is one of the most (if not #1) important regions for human prehistory. 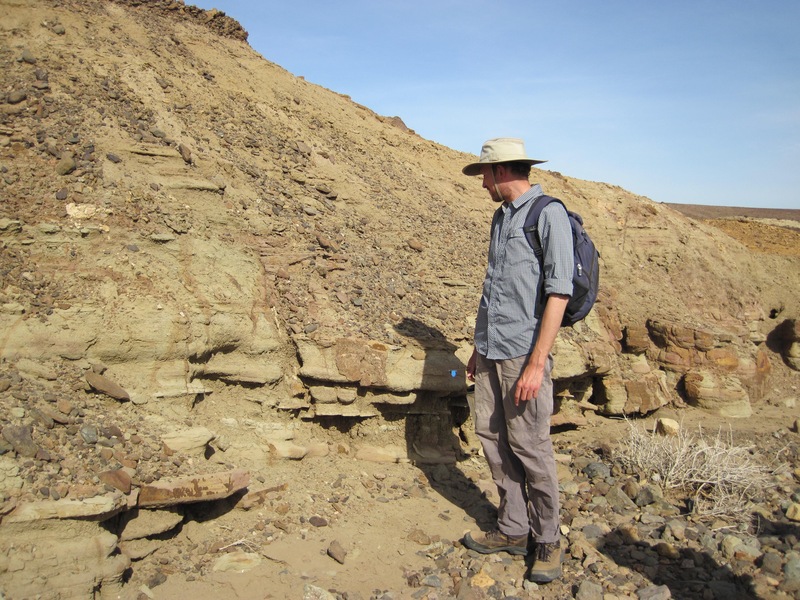 This module, our instructor is Dr. Matthew Skinner from the University of Kent. 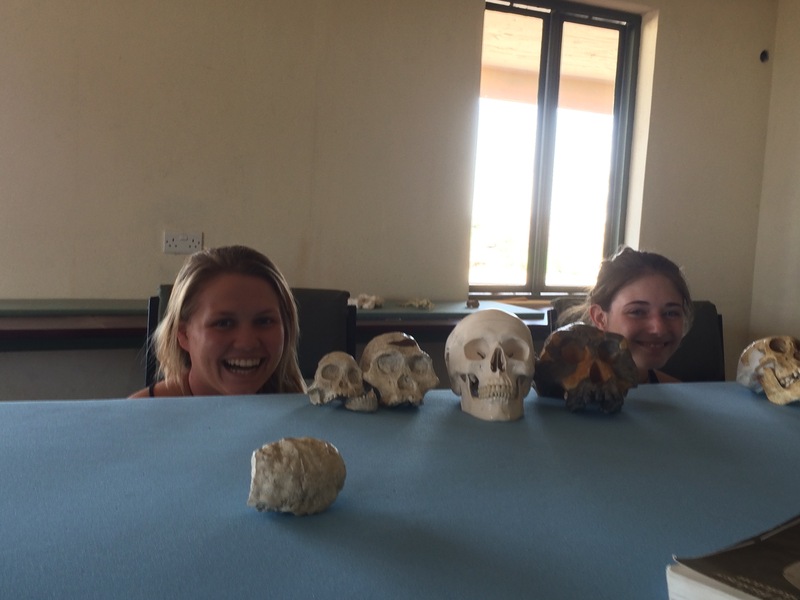 T study began with an introduction to skeletal anatomy and examining the difference between primates and non-primates and where us humans fit in. 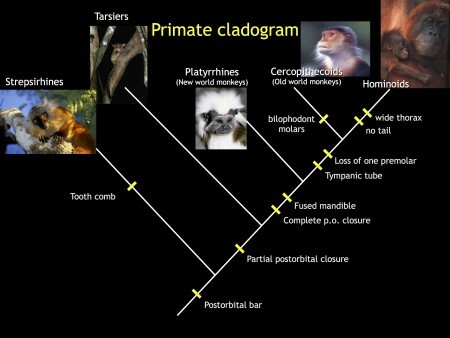 Living primates are classified into two suborders, Stepsirhines (e.g. 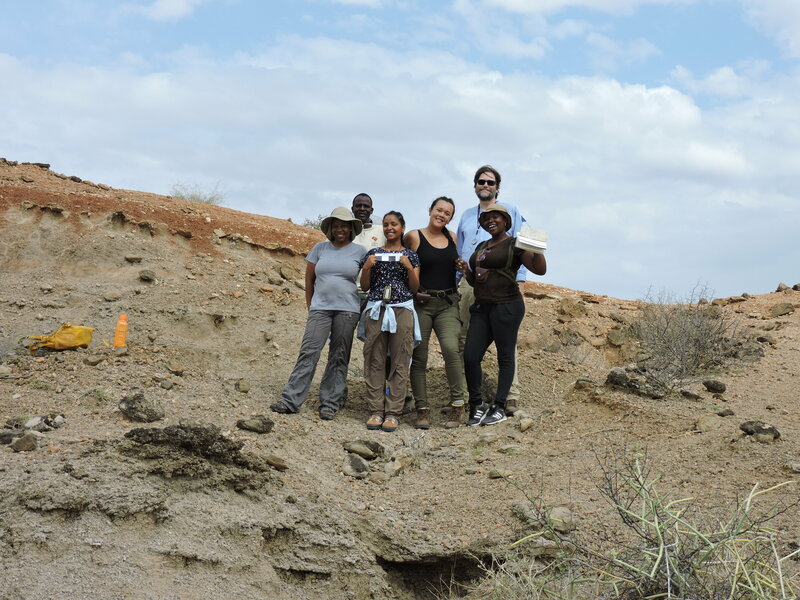 Lemurs) and Haplorhines. 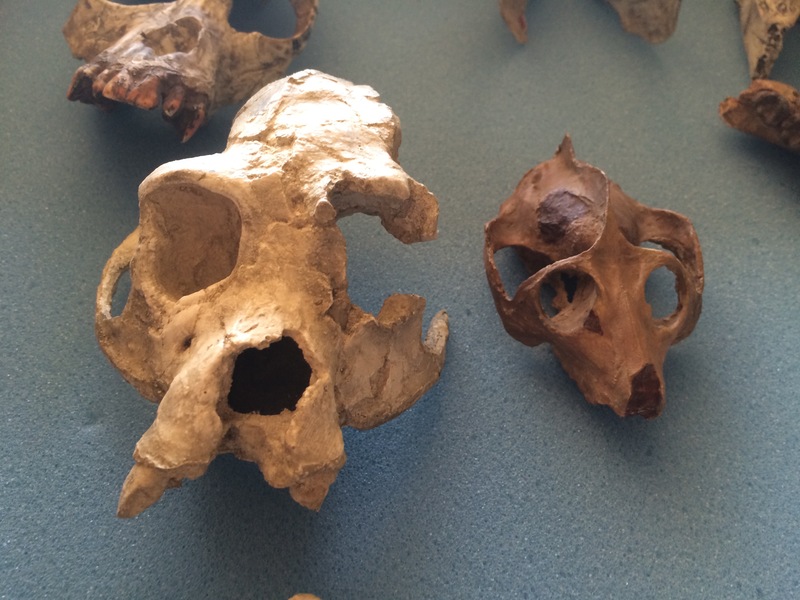 One easy way to see this division is Stepsirhines lack a postorbital closure where you can see right through the eye socket. 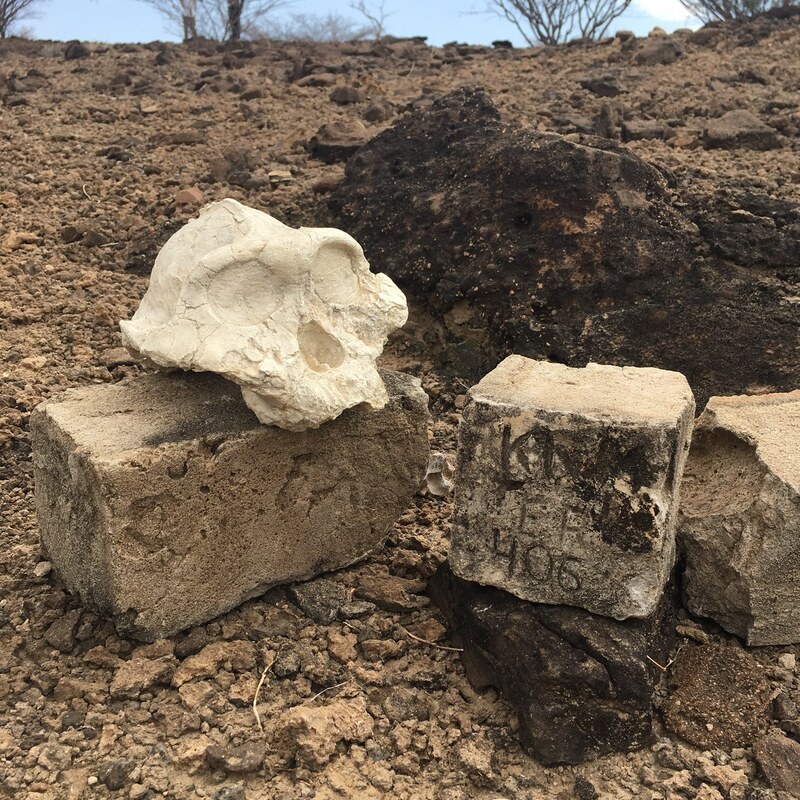 You can see this in the right skull cast in the image below. 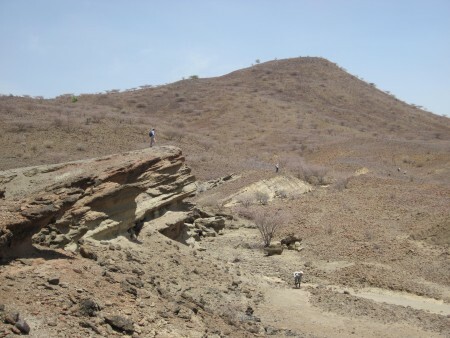 Haplorhine is on the left and Strepsirhine in on the right. 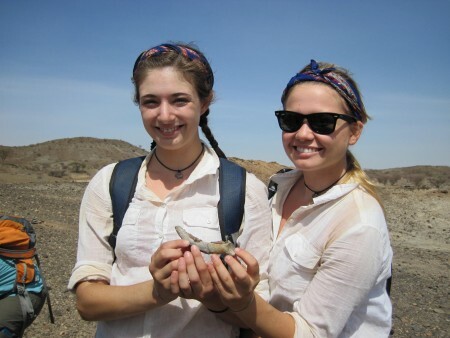 Within Haplorhines, they are divided into Platyrrhines (New World Monkeys) and Catarrhines (Old World Monkeys/apes). Furthermore, Catarrhines are divided into Cercopithecoids (Old World Monkeys) and Hominoids (apes, humans, etc.). 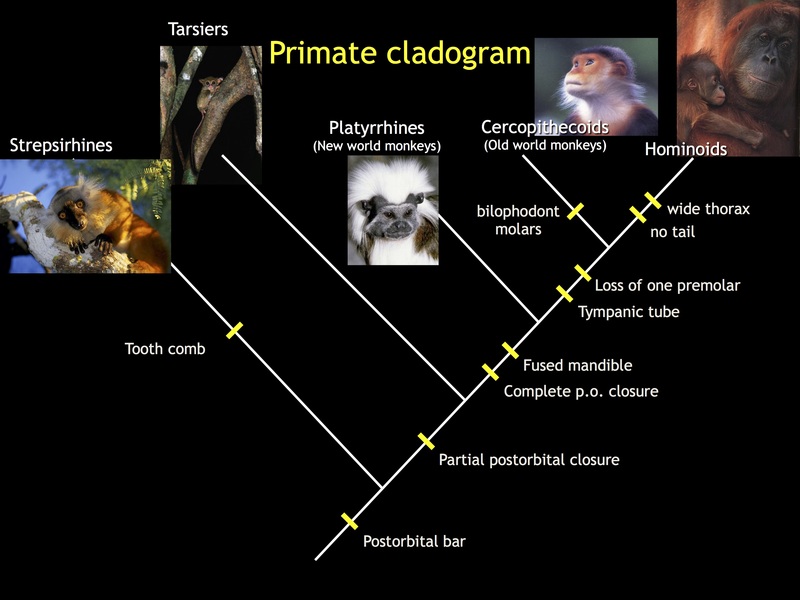 Below is a cladogram that shows the derived characteristics from Stepsirhines to Hominoids. 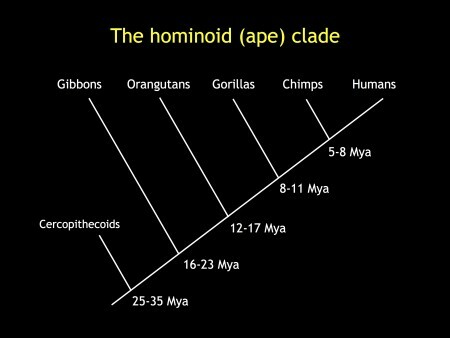 When and how did a primate become a human? 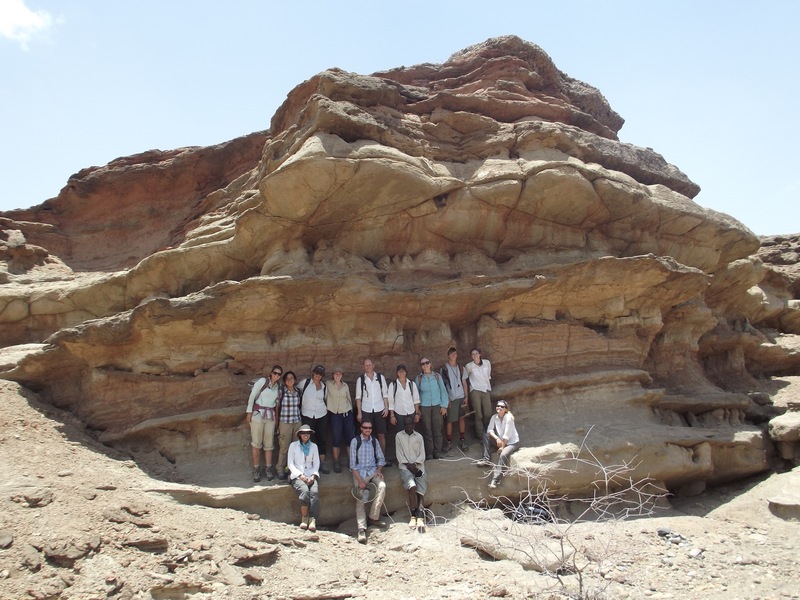 This question will be answered through this module but first, we examined the fossil record of primate evolution and some fossils of each. Approximately 65 million years ago, the earliest primate-like mammals (Plesiadapiformes) appear in the fossil record. Next, the first true primates occur during the Eocene about 55 million years ago. 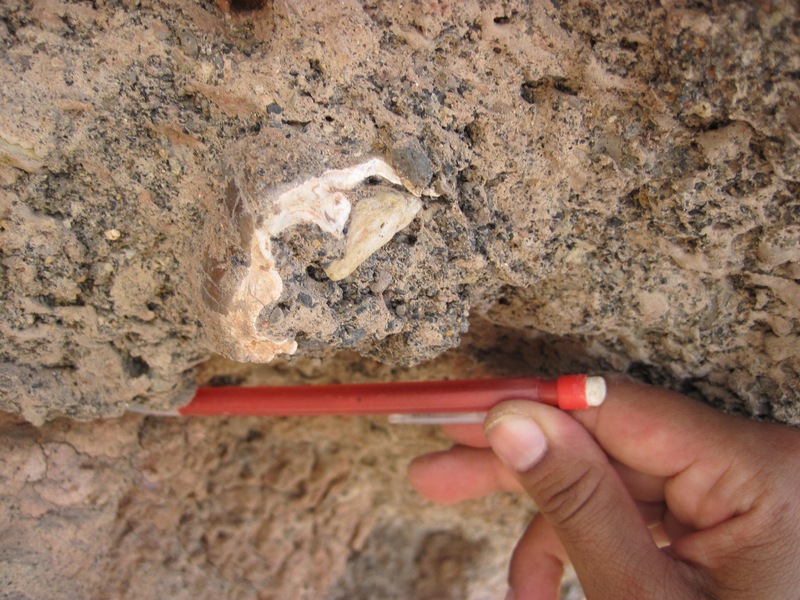 About 38 million years ago during the Oligocene, fossils of the early Catarrhines appear. 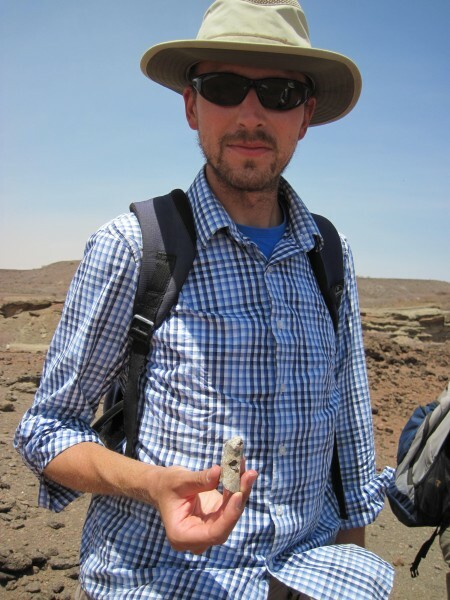 Finally, during the Miocene approximately 23 million years ago, monkeys and apes appear. 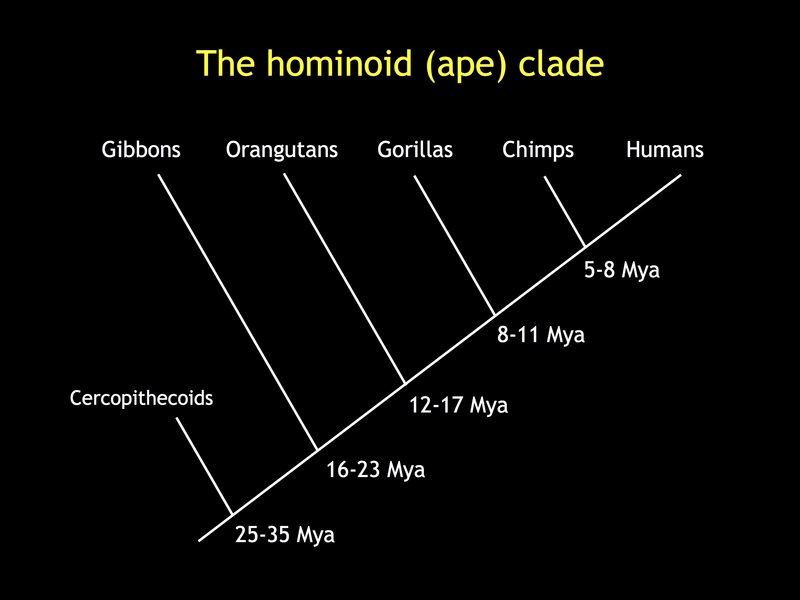 During the Miocene (23 – 5 million years ago), various types of hominoids began to appear and evolve through that time and are shown in the diagram below. 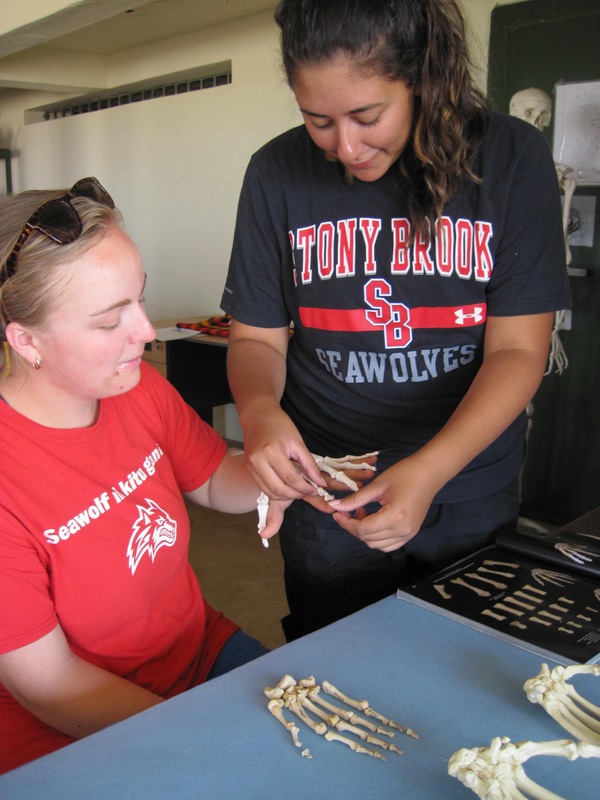 Below are a few pictures from students’ lab on skeletal anatomy and examining differences between primates and non-primates. 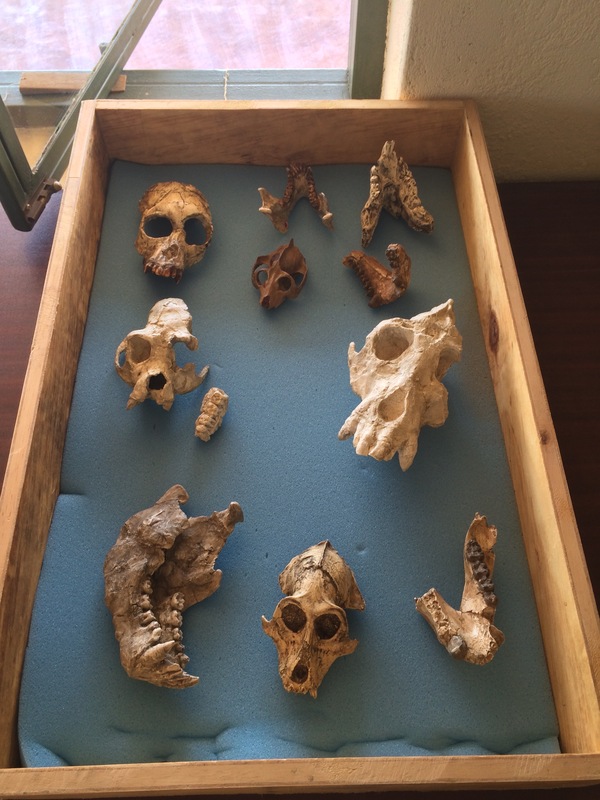 A few casts of primates, including hominoids and hominids (discussed more in the next class). 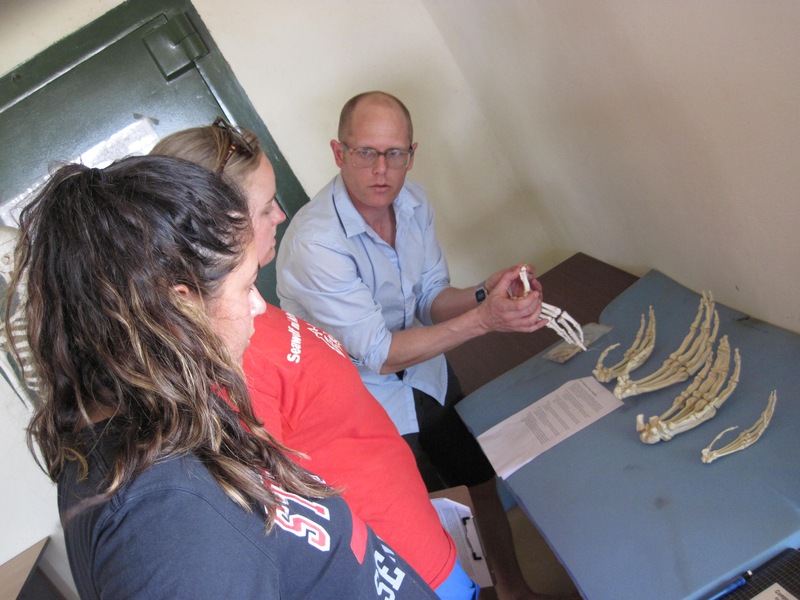 Dr. Matthew Skinner explains the type of hand bones to Page and Aileen. 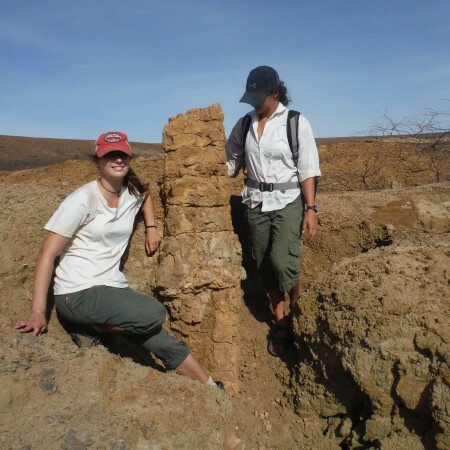 Aileen and Page examines the location of each bone in a human hand. 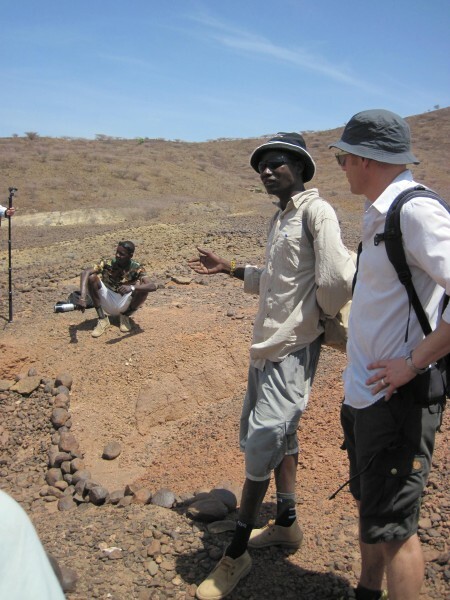 Fossil hunter, John Ekusi, describes the excavation that he was involved in that uncovered a Miocene ape. 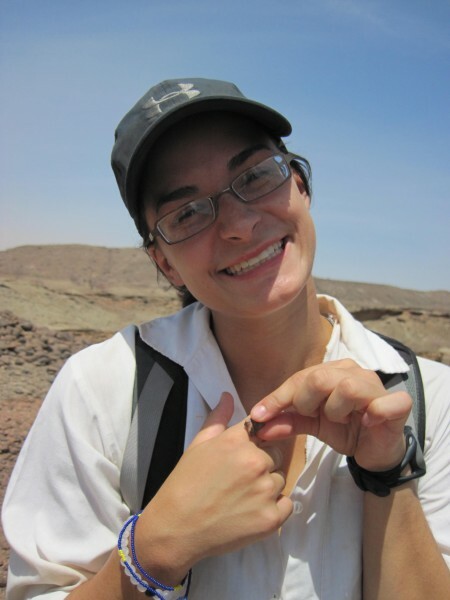 Dr. Skinner examines a fossil fragment that Anna had found. 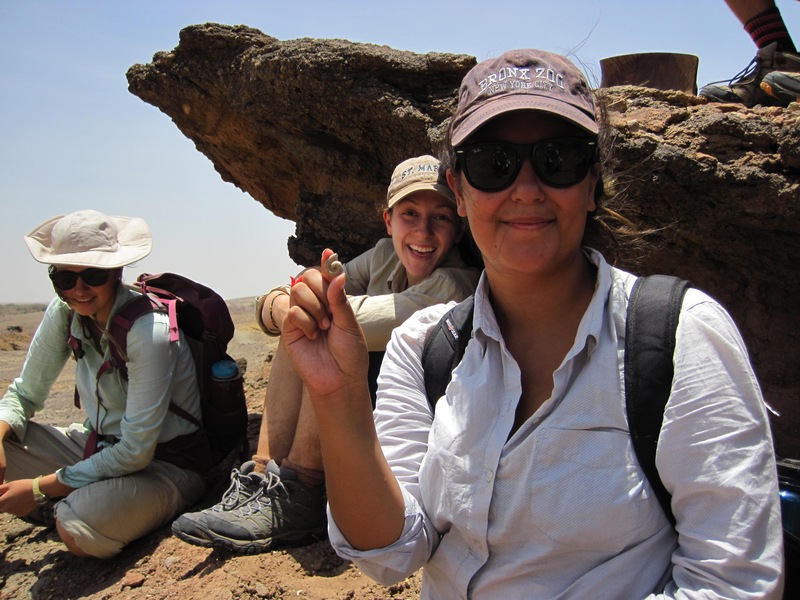 Jayde finds a hand bone but unfortunately, it does not belong to a hominoid. Page poses with her fossil find. Kate finds a fossil but would rather be looking at the nearby rock outcrop. Mike with an unknown fossil fragment. 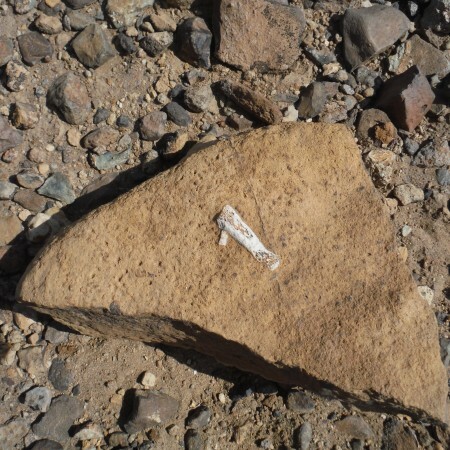 While looking under the ledge of rocks, I found a tooth. Not sure what it is but I left it alone and took a GPS point for a paleontologist to check at a later time. 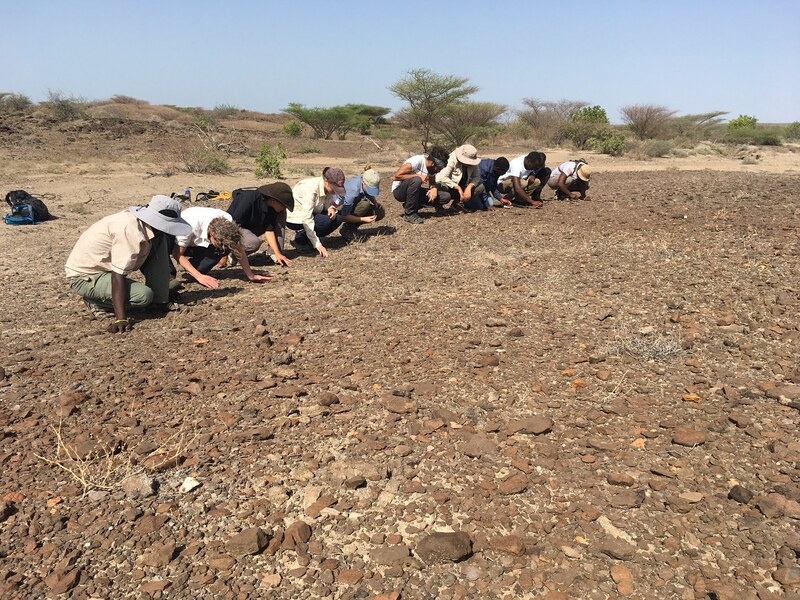 John Ekusi shows the field school students the Middle Miocene excavation site that is still being studied by Dr. Isaiah Nengo‘s team. 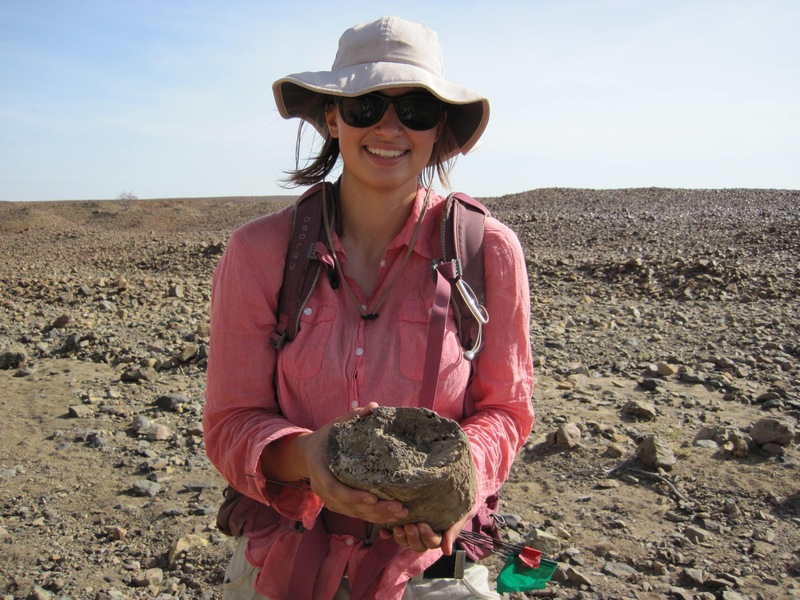 Kate picks up a chunk of petrified wood. This environment was quite different from the present. 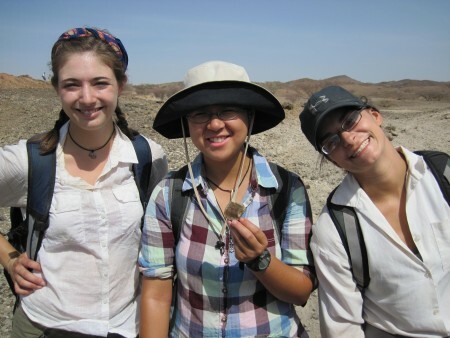 One of the few fossils fragments we could find in this area.